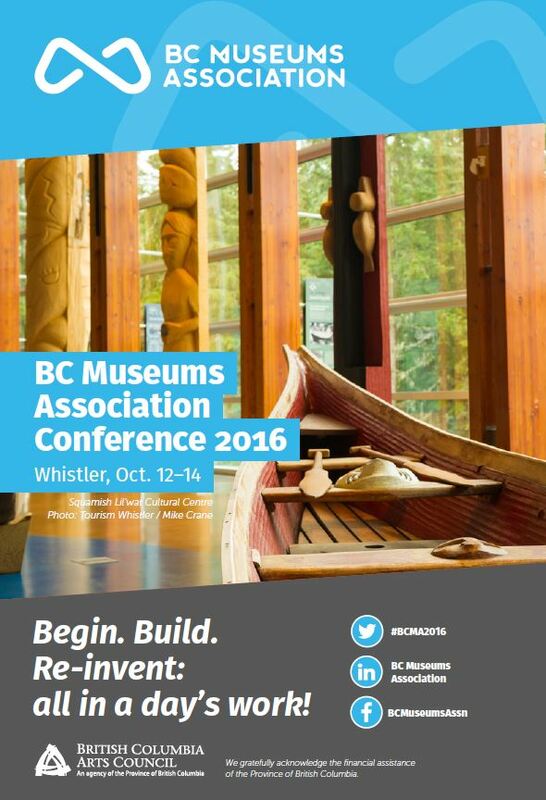 Last week, I had the distinct pleasure of participating in the “Ask the Expert” session at this year’s BC Museums Association Conference in beautiful Whistler, BC. Having never attended a non-archival conference, I was excited to hear about the work that is being done by my museological cousins. I was intrigued by the conference them “Begin, Build, Re-Invent – All in a day’s work!” and was eager to chat about how archives are integrated into the structure of museums. I came prepared to discuss how to go about starting an archival program or building upon an existing program. 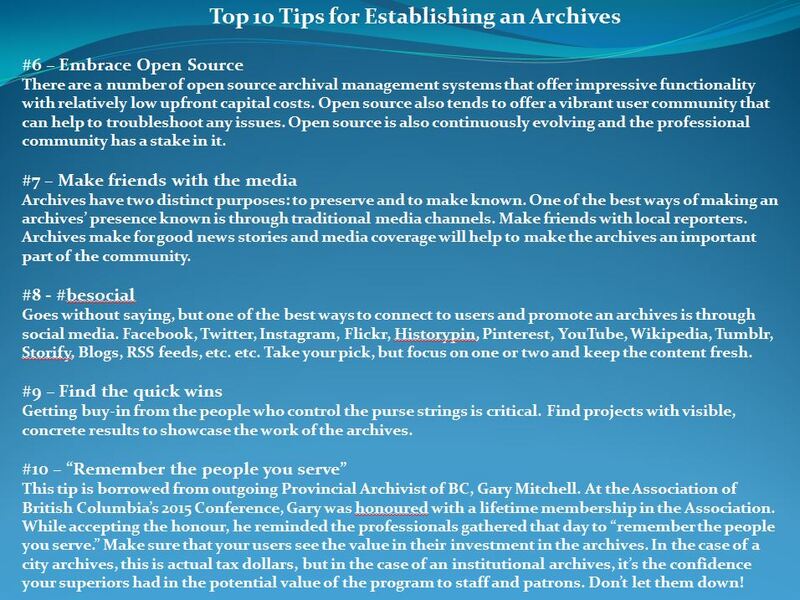 I had my Top 10 Tips prepared for establishing an archives program, which I first presented at the Association of Canadian Archivists conference in 2015. 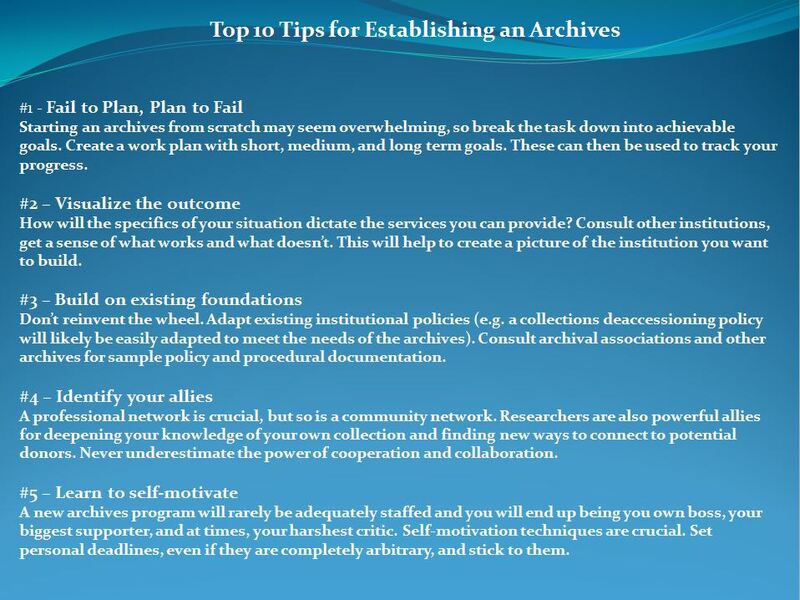 These tips below grew out of the experience of building the City of Coquitlam Archives over the past three and a half years. What was exciting for me was that the discussions that took place around our table went far beyond the tips I came prepared with. We have the desire, how do we get the funds? I had a great discussion with archivists from various museum contexts, both independent and connected to municipalities. Not surprisingly, the first question we discussed was related to funding. When is it not about money? Unfortunately, Canadian funding for archives, especially in British Columbia, is pretty sparse. BC Arts Council funding is not available to archival institutions, though museums do qualify and those museums with an archives are eligible. This is a distinction that archivists feel does a serious disservice to the archival community and has been something the Archives Association of British Columbia (AABC) has been trying to rectify, to no avail, unfortunately. From 2006 to 2012, the National Archival Development Program (NADP) administered by Library and Archives Canada through the provincial and territorial archives councils provided $1.7 million per year to archival programs across the country. The elimination of the program came as a shock to the community and had serious ramifications, including job losses, cuts to provincial programs, and the cancellation of 90 previously approved projects. You can read more about the elimination of this program here. The archival community vocalized serious concerns and mobilized in an effort to reinstate the funding. In 2015, the new Librarian and Archivist of Canada, Guy Berthiaume, announced the launch of a new funding program at the ACA Conference in Regina, Saskatchewan. The Documentary Heritage Communities Program will provide $7.5 million over five years. The announcement was a welcome relief for archives and archivists across the country, though the program is not without its issues, namely its restrictive eligibility criteria that prevent many archival institutions from accessing much-needed funds. Despite its limitations, it is exciting to have some funding restored for archival projects in Canada. Next week, I will be benefiting from one of these grants thanks to the AABC’s application to bring the Digital Preservation Management workshop to Vancouver. One of the delegates at my conference table had taken advantage of this funding and had been able to hire an archivist to work on the arrangement of the museum’s archival holdings and suggest ways in which the museum could make them more readily available. This was encouraging to hear and led us to an interesting discussion about the differences in museum and archives description practices. I had no idea how different our arrangement and description conventions were. A curator at the table asked about how she was to label archival material and how it should be re-housed at the museum. It sounded as though a mashup of metadata standards and practices was being employed, given the lack of professional archival staff on hand. We discussed Canadian archival description standards (see the Rules for Archival Description) and the hierarchical description protocols that are inherent to archives. We talked about how this methodology helps to ensure that the context of creation and the intent of the creator is maintained within the archival fonds. Silverfish – not really silver, definitely not fish! Thankfully, creepy crawlies have not been an issue for me so far in my professional career. However, I think its safe to assume that my experience is quite rare and most of my colleagues will have delightful tales to tell about the pests they have encountered. Our discussion moved on with a question about how best to handle a silverfish infestation in the storage area. This was not my area of expertise, so we discussed the advice offered by conservators. According to the Northeast Document Conservation Centre, silverfish “feed on paper sizing, chew holes in paper (especially glossy paper) and damage book bindings and wallpaper to get at the adhesives underneath.” They are notoriously difficult to get rid of and avoiding them by creating inhospitable environments is the key. In terms of remedial actions, we discussed freezing, insecticides, and shifting to archival boxes made of more slippery material, like coroplast, as opposed to using traditional hollinger boxes. Apparently, this can prevent silverfish from climbing onto boxes and accessing the paper within. During our discussion, we also covered description of mixed collections, digitization, the importance of transfer paperwork, and copyright considerations for orphan works. Somehow a complete hour had flown by and our time was up. And then Elaine Heumann Gurian blew my mind! To close out the conference, attendees were treated to an inspiring keynote address by Elaine Heumann Gurian, a consultant and advisor to museums across the world, including: The National Museum of the American Indian (U.S.), The Powerhouse Museum (Australia), Te Papa – The Museum of New Zealand (New Zealand), The Jewish Museum (Germany), and many others. She is a teacher, trainer, lecturer, and a widely published author. She didn’t wish to have her bio read aloud, as she likened it to a “living eulogy,” but her many accomplishments and publications are outlined here. Ms. Gurian has spent many years exploring the concept of civility in the context of the museum and this formed the basis of her keynote address. She challenged the room to consider where public space ends and private space begins in the museum and how the space serves to dictate expected behavior in both spheres. She asked us to consider the physical and symbolic barriers we erect that prevent entry and discourage a sense of belonging and welcome in the museum. 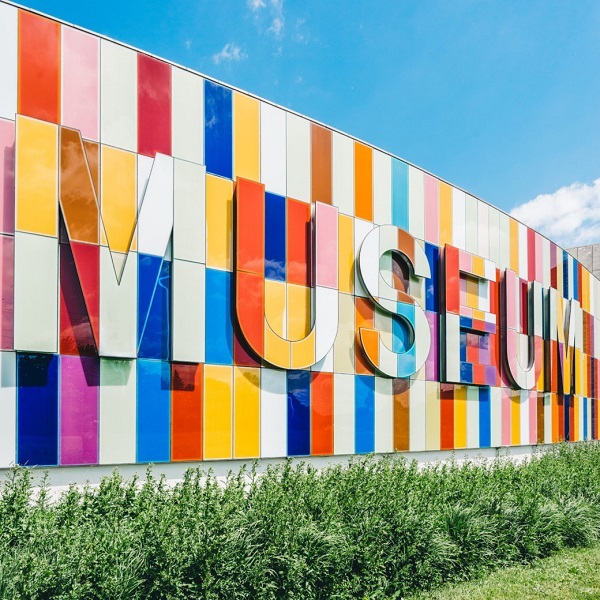 She believes that all public institutions have a responsibility to provide peaceful and respectful public spaces and that museums are well-placed to become models of inclusivity. As the archival interloper in the room, I began to consider how this thinking applies in the archival context. What are the barriers we put up through our policies and procedures and in our physical space that prevent entry or discourage belonging? Our dual mandate – to preserve and provide access – necessitates certain controls in order to ensure records are preserved, but we must be cognizant of our responsibility to make material accessible as much as possible. Are we doing the necessary work to make members of the public feel welcome in our spaces? Or are we subtly or overtly passing judgement on our users through our physical set up and rules of conduct? Our processes were envisioned for the world of the professional researcher or the academic who would pour over manuscripts at large wooden tables. Is this a welcoming environment for the public? Are we hung up on the reverence we feel for the records themselves and does this lead us to construct unnecessary barriers around them? As I have discussed in previous posts, I constantly struggle to properly explain what I do for a living, to make people understand my role. But during the question period following her presentation, Ms. Gurian rightly (and with the utmost respect) put me in my place. “They don’t want to learn your work.” She argued that people are looking to me as a line to the information they seek. I suppose I could have chosen to be insulted by this, but instead I saw it as a call to action, as a different way of framing the work that I do and a different way to think about providing access to the material in my charge. I must also credit Ms. Gurian with another comment that resonated with me and has stayed with me in the days since her presentation. She explained that “a lack of conceptual tidiness should not prevent us from going forward.” What an extraordinarily freeing idea! It gives us permission to embrace the messiness and shades of grey inherent in any complex process and to move forward. This was particularly relevant following the previous session, in which the moral obligations related to the repatriation of First Nations artifacts were discussed in depth. In that session, Rod Naknakim (Chief Negotiator with the Laich-Kwil-Tach Treaty Society), urged the delegates to acknowledge ownership of artifacts, develop new respectful relationships, and de-colonize museums by partnering with First Nations communities. These are complex ideas and the road to reconciliation may be fraught with misunderstandings and missteps. But by embracing the messiness together, we can begin to build more respectful and inclusive institutions. If you are looking for some background reading on the role of museums and archives in the reconciliation process, check out this original Active History post by Krista McCracken and her recent follow-up post that provides some recommended reading. I left Whistler (in a torrential rain storm) encouraged by the enthusiasm for archives displayed by the curators at my table; moved by the support among museum professionals for meaningful reconciliation in response to the Calls to Action of the Truth and Reconciliation Commission (which felt very similar to the mood in the room among archivists at the last ACA conference); and inspired by Elaine Gurian’s notions of embracing the messiness of complex ideas and embedding the concept of civility into museum (and archival) spaces and processes. Many thanks to the BC Museums Association and Whistler for the wonderful (albeit damp) experience.